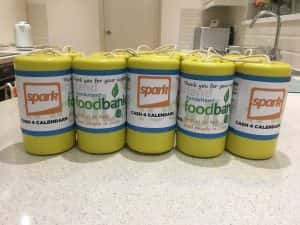 Cash 4 Calendars, a charity initiative set up by Spark FM, is aiming to provide advent calendars for every child reliant on Sunderland’s foodbanks this Christmas. The fundraising drive, in partnership with Sunderland Foodbank and Trussell Trust, hopes to raise upwards of £500 to achieve its goal. “The ultimate goal is to give the hundreds of children who rely on the foodbanks a little piece of Christmas at the beginning of December. “The foodbanks can only usually provide families with basic needs. To ensure the children enjoy the countdown to Christmas, we want to give them all an advent calendar to enjoy. 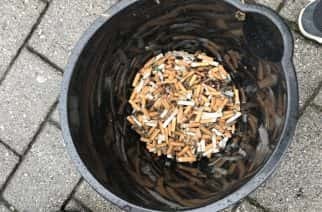 Fund-raising events, such as local music shows, cake sales and the waxing of Spark presenters live on air have already been organised to help meet the target. Charity tins are also in shops all over Sunderland and there is a dedicated webpage for online donations, accessible here. Any extra money raised will go into the foodbank to provide families with food for Christmas. The deadline is Friday, November 23.